I guess I can see this; but are they going to sue the automakers and the people who drive the cars too? I mean, why not; the oil and gas companies are selling a product to willing buyers, aren’t they? I am not a lawyer either, but I do see an obvious flaw in the comparison to tobacco. It was the users of tobacco who sued, so with fossil fuels the users are the consumers, not the municipalities. Arguably the problem with fossil fuels is created (not borne) by those that use it, so the municipalities should be suing drivers, airlines and those that use it for home heating, etc… In any event, I suspect these suits will arise. It took quite a while for them to be successful against tobacco and asbestos industries, but they have eventually prevailed and I wouldn’t be surprised if that happens against the oil industry too. I’m not sure Kenney really gets how much the world has changed in his sheltered travels mostly between Calgary and Ottawa and I doubt his war room will do much if anything to halt or reverse these changing attitudes. If anything, like the Harper governments antagonist approach to environmentalists, his more aggressive approach will fail and only make them more determined and radical. Even worse, I suspect an Alberta government that back tracks on is climate change plans may start to lose support among more mainstream Canadians in other parts of Canada. I think Albertans back in 2012 realized some of the dangers of putting climate change deniers into power and that is still true. If anything the bar is much higher now with the rest of Canada and the world, being seen to be environmentally responsible is not just a good to do thing, it is a bare minimum. 1) The Earth’s climate is a huge and incredibly complex system. Who really thinks changing one input – carbon emissions – is going to do exactly what you think it will? 2) Does anyone think Climate Change Lawsuits are anything more than virtue signalling? Has T.O. 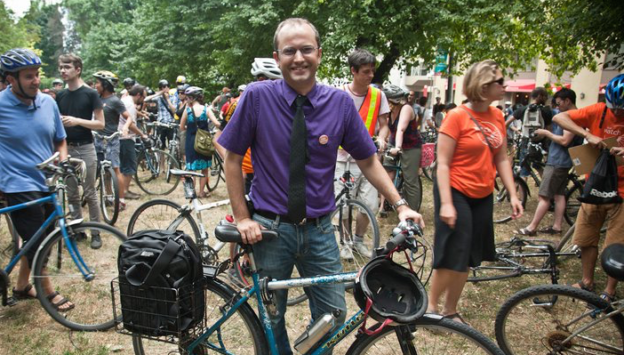 councilor Mike Layton or anyone else predicting the end of reliance on oil done a cost benefit analysis of the oil economy or of reducing carbon emissions? Check Mike Campbell’s commentary for some perspective. I realized the other day that we have heard nothing about climate change in the campaigning. I expect Kenney doesn’t care, and Rachel Notley doesn’t want to bring it up because it will draw attention to her carbon tax. Nevertheless, my biggest fear of a UCP victory is the prospect of the loss of another 4 years trying to do something about climate change. I cringe when I hear Jason Kenney promise to undo even the small steps the NDP have implemented. We are still waiting for the promised UCP plan on how to reduce emissions. Dave, you only mentioned it in your second last paragraph, but I think it is the cover-up the oil companies engaged in that leaves them culpable, morally at least. The argument that oil companies were only providing a legal product is a valid defense, in my mind, unless they were also concealing the damage their product was doing. It is my understanding that Exxon discovered the climate damage greenhouse gases can do in the 1960s, and have been doing their best to discredit the message ever since. Finally, Rachel Notley’s opponents have had great fun denouncing her idea of social license, and how it has failed to get a pipeline built. We won’t truly know the value of social license, however, until we see how things work out without it. See municipal Issues relating to the cost of climate change re – City Counsellor in Toronto bringing forward a Motion! 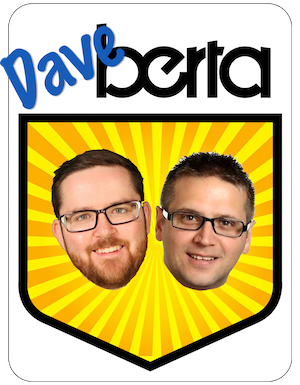 I hope AB Municipal Affairs, Infrastructure , Transportation and Environment really have our back in #YYC in the next government! Both upstream and downstream flood And drought mitigation, without sacrificing some communities for the benefit of others is “Best Practise” at all times! If we have to sacrifice some to save others, it is not a sustainable solution. As a recent intervenor before the Alberta Environmental Appeal Board to protect 22. 7 hectares of the most valuable, natural municipal wetlands in Alberta, right in my community – I came across the Intact Centre on Climate Adaptation. This Centre is at the University of Waterloo , Ontario. I am impressed with their work- and not just because it is Dutch inspired! The Netherlands have world renowned experts on water management, let’s just call them the finger in the file people in YYC but because it just makes sense! I quoted Dr. Blair Feltmate in my written submissions and oral presentation. His article was released in July 2017 just before the AEAB Hearing on October 23-25, 2017. We need to seriously prepare for ”When the Big Storms Hit” The role of Wetlands to Limit Urban and Rural Flood Damage in all of our municipal affairs. The Appellants #JeffBrookman and My Green comrade #AllieTulick won the appeal and set precedent in this province. It was proven to be a development that had been rubber-stamped and calamity of back room deals all the way through and is on the record. The so-called progressive NDP government and #ShannonPhillips, former Alberta Minister of Environment did not even have the courage to enforce her own resulting Ministerial Order or make rulings on the most fundamental climate impact considerations of the Appellant and Intervenors submissions- like protecting our drinking water for 600,000 people in Calgary or ensuring protections against high risk of toxic contamination for nearby residents. This literally changed my life! I will be Forever Green and protector of our water and environment in perpetuity. This election is just the beginning of serious GREEN advocacy and voice in Alberta to get with the international program and protect people and environment over corporate interests in this province. Protect our waters Alberta- it too is in limited supply , (except when it’s not in Calgary) and the future will reveal we should have been ecologically wise and socially just in protecting the new “liquid gold” ! 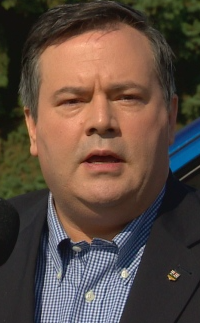 Jason Kenney has absolutely zero credibility on climate change action, and in fact the only reasonable conclusion one can draw is that he simply doesn’t believe it is happening or that it can be mitigated by collective human action. If he gets elected Premier, what’ll happen is that revenues from a price on carbon pollution will just fall into federal hands, despite that quixotic lawsuit against a federal carbon tax. Stephen Mandel’s so-called “plan”—https://www.albertaparty.ca/position_statement_carbon_tax—isn’t much better. It would limit the ability of government to apply carbon tax revenues to economic diversification and energy conservation by cutting other sources of revenue. The NDP’s Climate Leadership Plan has been soundly criticized by environmental purists who want a far more robust plan to wean Alberta off of the oil & gas industry, but IMHO the plan has been a classic example of the “art of the possible”, although the vote on April 16th will tell us all how “possible” it has truly been. 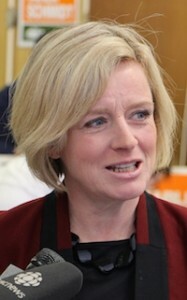 I am voting for Rachel Notley but the carbon tax is a political loser in Alberta. Was it really worth it to latch on to this policy and lose the chance for re-election? It’s too late to turn back time but by being pro-oil and socially progressive would make the NDP far more electable this time around. What would progressives rather have in power: the UCP with its regressive policies or a pro-oil NDP that might be too pro-oil but is progressive on everything else? The carbon tax shouldn’t be the hill that we die on. Take some personal responsibility. The oil and gas companies supply a legal product. You and I burn it and contribute to GHGs and global warming. You and I need to switch to electric vehicles and net zero buildings. What are you doing to move towards these today? I truly find it mind boggling that municipalities are considering litigation against the Energy companies when they themselves are equally guilty of Climate change. In fact we are all guilty, as I know of virtually no one that does not use some form of energy within their daily lives… heating, electrical devices, driving autos (electric and fossil fuels), air travel, sea travel, public transit, etc. Where does one think the energy comes from? For those that look to renewables… this is great, but renewables require fossil fuels to actually produce the renewable converter… where do the solar cells, wind turbines, etc come from… but from manufacturing plants, mining (for the lithium used in batteries, etc). 4. What is BC’s plan to replace the Diesel powered Ferries? 5. What is BC’s Plan to replace heavy machinery used in Mining, Forestry, and construction? I have yet to see any battery powered bull dozer’s etc. The bottom line is that even BC needs fossil fuels and will continue to for some time. What I find surprising is that none of BC’s Governmental leaders recognize this. Some suggest simply buying fuel from abroad… wow… So, instead of having an local industry that you can monitor and ensure that they minimize the environmental impact, some would rather buy fuel from areas where there are no or minimal environmental laws. I guess their are some who are Environmentalists only when it is in their backyard and could care less if it is elsewhere. As I said… we are all guilty of climate change and the way to minimize this is for everyone to do their part as best possible.